Joint Replacement is a moderately large operation. It is carried out in situations in which pain and disability from arthritis have reached a significant level and there is no alternative. As with any operation, it carries risks of complications and adverse outcomes. The surgery should only be carried out if the necessity for the operation is sufficient to outweigh the risks. This usually means severe pain. If you are seen in clinic to discuss potential suitability for a knee replacement, Mr Sehat will help with reaching a decision on whether knee replacement is an appropriate option in your particular case. As a basic rule if pain from the knee is sufficiently severe to disturb sleep or prevents being able to walk far enough to attend to essential activities, one may reasonably consider having a knee replacement. The Oxford Knee Score can help you to decide if your knee symptoms have reached a level at which a knee replacement should be considered. It should only be used as a guide. (click here to calculate your Oxford Knee Score). Approximately 90,000 Knee Replacements are carried out each year in England and Wales. It is therefore a commonly performed and routine operation for treating severe arthritis and is considered a relatively successful operation. Nevertheless, as with any operation, it should only be carried out when absolutely necessary to maintain or improve quality of life. The operation involves removing the diseased and painful surface cartilage of the worn knee joint and replacing it with an artificial implant. This means that knee movement and weight bearing will then occur through the artificial surfaces rather than the painful cartilage, reducing pain and improving function. However, knee replacements have some restrictions on how far they will allow the knee to bend and do not reproduce absolutely normal knee function. They should be regarded as a means of improving on a painful arthritic knee rather than a return to normality and for this purpose are considered a successful operation in the majority of cases. More detail on the outcomes that can be expected are given below under ‘outcomes’. 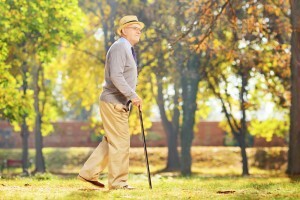 Any joint replacement will eventually wear out, become loose or otherwise fail and need to be revised (replaced again). At least 90% are expected to last more than 10 years and 80% are expected to last more than 15 years. However, this means that some may fail earlier and need to revised sooner. Having a joint replacement operation means potentially committing to more operations later on in life. The later in life that one has a joint replacement, the less likely it is that further surgery may be required. Knee Replacement involves a four day stay in hospital, 6 weeks of recovery at home and at least 6 months to the end result, with a gradual improvement during that time. If you are very overweight, this type of surgery carries a greater risk of complications, a poorer result and is generally not recommended. You should make attempts to bring your weight down to an acceptable level before considering surgery. You should discuss this with your GP. A Body Mass Index (BMI) of 35 (moderately overweight) is the threshold for relatively safe surgery. To calculate your BMI, you need to know your height and weight. Please click here to calculate. Please also see the section on ‘conditions of the knee’ for further information on knee arthritis, the options for treatment and when surgery may be helpful. Also known as Total Knee Arthroplasty, TKR or TKA. Most patients will require this type. 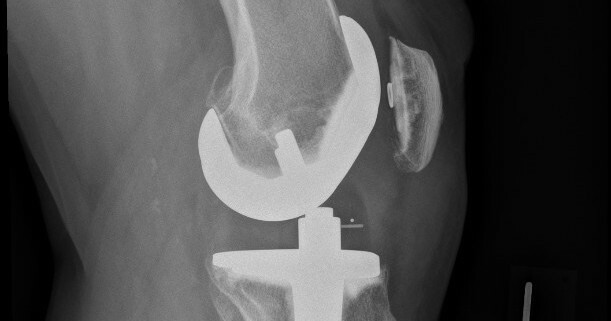 The whole of the main weight-bearing cartilage surfaces of the knee are replaced with an artificial implant. Mr Sehat will also routinely replace the knee cap surface in the majority of cases when it is technically appropriate to do so. The knee has three ‘compartments’. If only one is worn and arthritic, it may be possible to replace only that compartment. For this to be successful, the remainder of the knee needs to be in a healthy condition. A Unicompartmental Knee Replacement generally will be a slightly smaller operation and can achieve a better range of movement than a Total Knee Replacement but suitable knees are less commonly encountered. Unicompartmental Knee Replacements are generally thought to last less well than Total Knee Replacements, but can still be a good option for some patients. Before surgery you will be seen in a “pre-operative assessment clinic”. This is a medical check of general fitness and if any further tests or changes to medication, etc… can be carried out to optimise your condition, prior to surgery. Blood tests, heart tracing (ECG) and blood pressure checks are routine. On the day of the operation, you will be asked to attend hospital, having fasted that day. You will be waiting before the operation, potentially for a few hours altogether, so please bring reading material. The anaesthetic is usually a spinal anaesthetic. This is an injection to the lower back which numbs the nerves that provide sensation below the waist. The numbness from a spinal anaesthetic is sufficient to be able to carry out the operation. Patients may choose to either be awake and aware or to receive sedation and be asleep and unaware through the operation. A spinal anaesthetic is a good option because it provides pain relief for a few hours after the operation also, meaning that less painkillers need to be given and fewer side effects of strong pain killers are therefore experienced. Sometimes a general anaesthetic (fully unconscious) may be necessary or requested by a patient who wishes to be entirely unaware of the operation. The anaesthetist will see patients on the day of surgery before the operation and discuss further. A Knee Replacement operation will take approximately two hours but the duration is very variable for many reasons and if it takes longer, that does not mean that any difficulties were necessarily encountered. Following the operation, patients rest in bed for the first few hours or overnight and receive observation, monitoring and pain relief as required. At the earliest opportunity, later that day or usually the next day, it is beneficial to commence exercises. A physiotherapist will visit and instruct and assist. The sooner that the knee movements and standing up can be commenced, the quicker the pace of recovery will subsequently be. It is preferable to ask for more painkillers as required in order to be able to perform the exercises. The physiotherapists and nursing staff will guide and assist with this process. The usual stay in hospital is around four days for patients returning home with family support. Some patients may be ready for discharge earlier than this or the stay may be prolonged if there are particular circumstances or other medical conditions to take into account. A blood transfusion may be given if required but this is uncommon. By the time of discharge patients will be walking with two crutches. A few older patients may prefer a frame. By the time of discharge from hospital, it is possible to put weight through the knee and to use stairs, slowly but safely. Physiotherapy exercises will be instructed and should be continued at home. We will ask the practice nurses to remove some skin clips 10-12 days after surgery. You will be sent an appointment to return to clinic approximately 6 weeks after surgery for a review but please contact us to expedite the appointment if you or your GP have any concerns. Patients will ordinarily spend about 1 month resting at home and carrying out physiotherapy exercises. During this period help will be needed with personal tasks such as washing and dressing and ideally a stay with family or close friends is advised. Patients returning home to an independent existence will need to stay in hospital for longer until they can be sufficiently independent (about 10 days). Walking will be with two crutches for the first one to two months then one crutch or a stick for 3 to 6 months. Patients are encouraged to walk outside the house by two weeks and can usually return to driving by 6 to 8 weeks. To be able to walk around a supermarket or carry shopping will take at least two months. As long as steady improvement is taking place, the pace of recovery is not important and will vary greatly between patients. The outcome of knee replacement is not consistent in all situations and will vary even between the same patients two knees. It depends on the pre-operative condition of the joint and how well it was possible to match the implant to the knee at the time of surgery. If you are having a knee replacement, Mr Sehat will discuss with you in clinic before the operation if there are any specific reasons for you to expect a different outcome to the usual. About 80% of patients are pleased with their knee replacement and find it has improved their symptoms sufficiently to have been worthwhile. However, it is not usual to experience a return to normal knee function. A knee replacement can only be regarded as a worthwhile improvement to the condition of the painful, arthritic knee, not a return to the normal knee. In particular, knee replacements generally will only bend just past 90 degrees (a right angle), not the full bend that a normal knee has. Most patients do not kneel on knee replacements as it is uncomfortable and squatting down is also not usually possible. There will normally still be some mild aching pain and a sensation of ‘clicking’ even after full recovery. 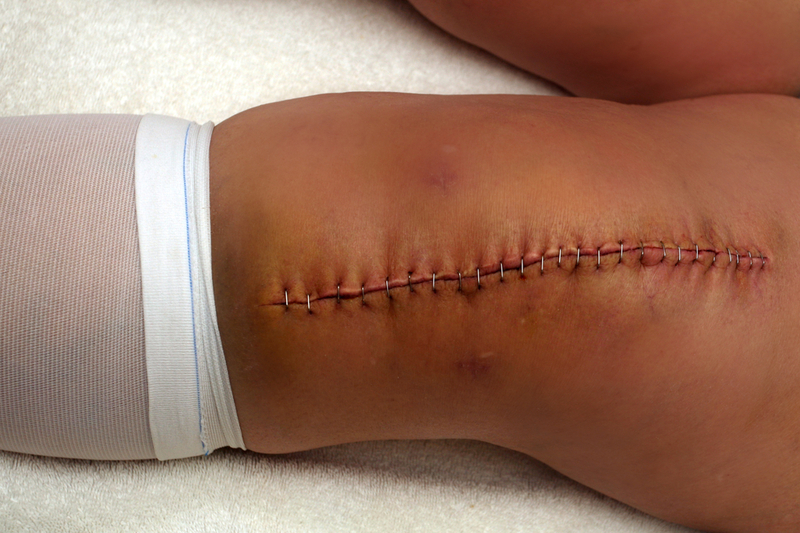 It is normal to acquire a patch of numb skin adjacent to the scar. Walking distance varies greatly and assuming there is no other impediment can be up to 2 hours comfortably for most patients, by one year after surgery. Pain at night should resolve by 6 months. Swimming, recreational walking and gentle sports such as golf and bowling are usually possible. Running and racquet sports are not usually possible or recommended and cycling is possible for about 50% of patients, depending on how much bend is achieved. The functional outcome will be significantly better if the physiotherapy exercises are carried out with eagerness after the operation. The functional outcomes of knee replacements are monitored nationally by the HSCIC (Health and Social Care Information Centre – www.hscic.gov.uk/proms). Patients report their knee function before and six months after having a knee replacement. The main measure used is the Oxford Knee Score. This score is a number from 12 to 48. A score of 0 is the lowest score and would represent a totally non-functional knee. A score of 48 represents normal function with everyday activities. For more detailed information on the outcomes of hip replacements, please see section on ‘Outcomes of knee and hip replacements’. Knee replacement is a moderately big operation and carries a small but significant risk of complications. Therefore the operation should only be carried out if the symptoms are sufficiently troublesome in the first place to justify the risks. You can reach a sensible decision on the requirement for surgery following a discussion in clinic. Being very overweight (BMI greater than 35) increases the risks of complications. Discharge or fluid leak from the scar in the first few days. This may require re-dressing. Persisting pain or slow recovery is common but most patients will reach an satisfactory result by 6 months to one year following surgery. A ‘Deep Vein Thrombosis’ (DVT) or blood clot in the deep veins of the leg. This can occur in approximately 5% of cases and causes tight swelling, redness, discomfort and tenderness of the calf. If suspected, please seek a same day appointment with your GP to be assessed. Simple swelling that goes down with lying down at night and elevation is not a sign of DVT. Most legs will swell after surgery- this is normal and does not require a review. A disappointing functional outcome is reported by about 20% of patients initially, usually because of some persisting pain, stiffness or limited knee bending. We would try to improve the outcome as much as possible, including with extended physiotherapy or occasionally further surgery. The risk of a longterm poor outcome is less than 10% and the risk of being worse off than before surgery is less than 5%. General Medical complications of surgery such as heart attacks, strokes, chest infections and kidney failure are possible despite the care and attention applied at surgery. They occur in up to about 5% of cases. They are more likely if the patient has a history of such conditions already and will be discussed before surgery. We would carry out a medical assessment and only proceed with surgery if the risks of such complications can be reduced to an acceptable level or if the pain in the knee is sufficiently severe for the patient to wish to proceed despite the risks. Internal infection in the knee itself. This occurs in about 2% of cases and requires major further treatment with surgery and lengthy courses of antibiotics. Infection may develop at any time in the lifetime of the knee replacement. The knee would become strikingly swollen and painful. If suspected, you should seek a a review with your GP who may carry out a blood test to check or arrange for us to review you in clinic. Plain swelling or mild pain are common, do not indicate infection and are of no concern. Pulmonary Embolus (blood clot extension to the lungs). This is rare but can occur after any operation, including knee replacement. Symptoms typically include feeling breathless, pain in the chest with breathing and sometimes coughing with some blood. If suspected, please attend A&E immediately for assessment. Damage to nerves or blood vessels or uncontrollable infection leading to long term disability in the limb or loss of limb. These are very rare (less than 1%) but potential complications of this type of surgery. Death from medical complications of this surgery is nationally recorded to occur in about 0.4% of cases.